The main part of this work was to evaluate the capabilities of pillow structures which were inflated by hydrogel. 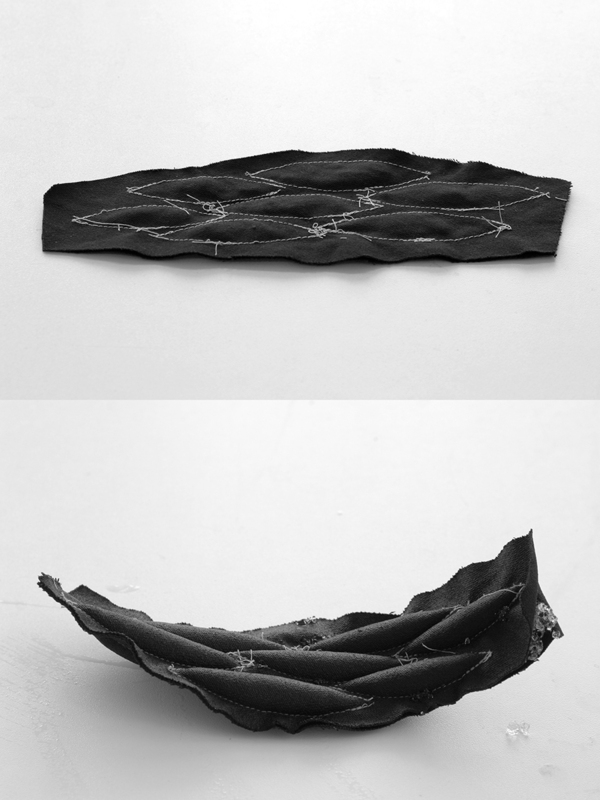 Based on the properties of this material a kinetic system was designed which resulted in a functioning prototype. The result is an air cooling structure, which is able to open when supplied with water. Some hydrogels are able to expand up to a 1000 times of their volume. The first step in this work was to capture this expansion power and make it usable in a kinetic system. Therefore hydrogel beads were clustered in pillows. Fabric works pretty good in this case. 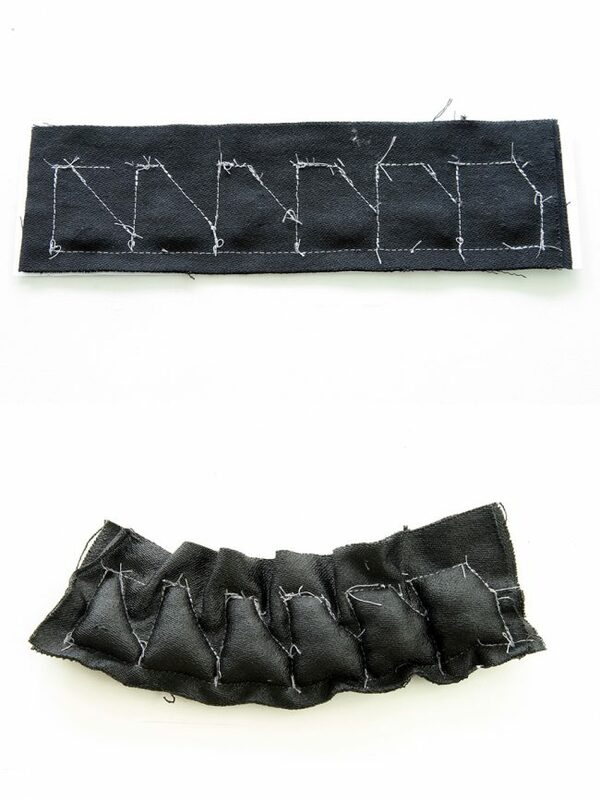 On one hand, the fabric is able to keep the hydrogel beads in place. On the other hand water can pass through the material to be absorbed by the gel. It was also important, that the containing material wouldn’t break the hydrogel beads. Fabric turned out to keep the gel beads from breaking while they were expanding. Following I tested the effects of inflating hydrogel-pillows arranged in different structures. What’s happening in a pillow while the gel expands is, that it gets inflated on one axis while the sides contract. So the pillow pulls to the sides and in a grid this can lead to unexpected deformations. Evenly distributed pillows in the same shape an size were tested but also variations in size, pillow shape and grid shape. In most of the cases, the grid would only show a certain contraction. Certain geometries showed surprising behaviour by bending in one direction. Parallel to the tests with pillow structures in different shapes and grids, I also tested hydrogel pillows in connection with sheet material. 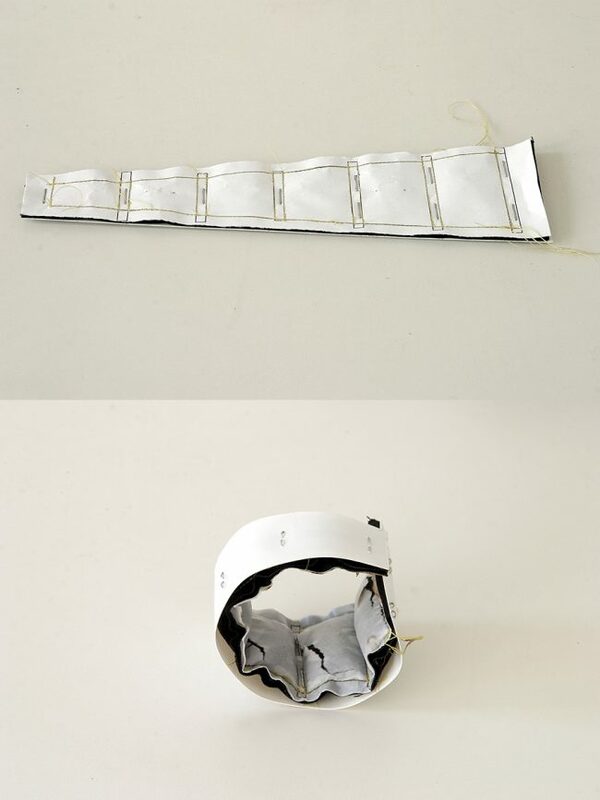 Polystyrene foil was used in most of the tests. This allowed to increase the deformation of the tested structures. Since the sheet material was able to bend but not to bulge that easily, the pillows where able to pull the whole structure in one direction. Shape and size of the pillows in combination with the orientation and position of the connecting points allowed to direct the bending of the structure. Grids with slanted gaps for instance, curled up into a helical shape. 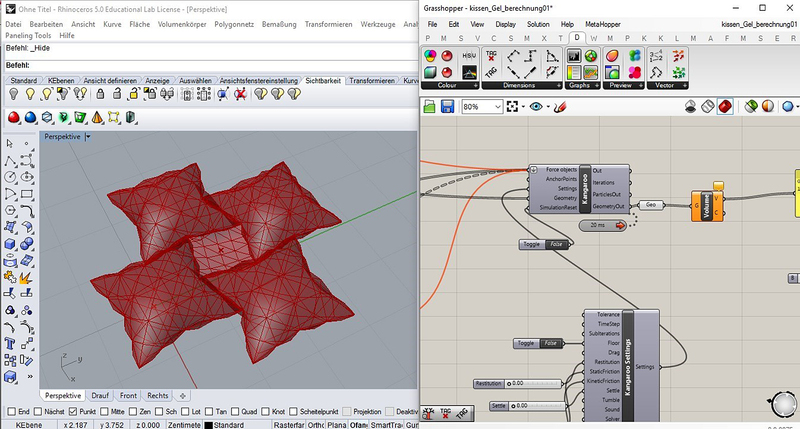 Additionally I used Grasshopper and Kangaroo as tools, to simulate pillow shapes and grids. That allowed to a certain degree to predict the inflation behaviour. More importantly it also enabled to calculate the number of hydrogel beads even for complicated shapes so that a consistent pressure for all pillows could be established. 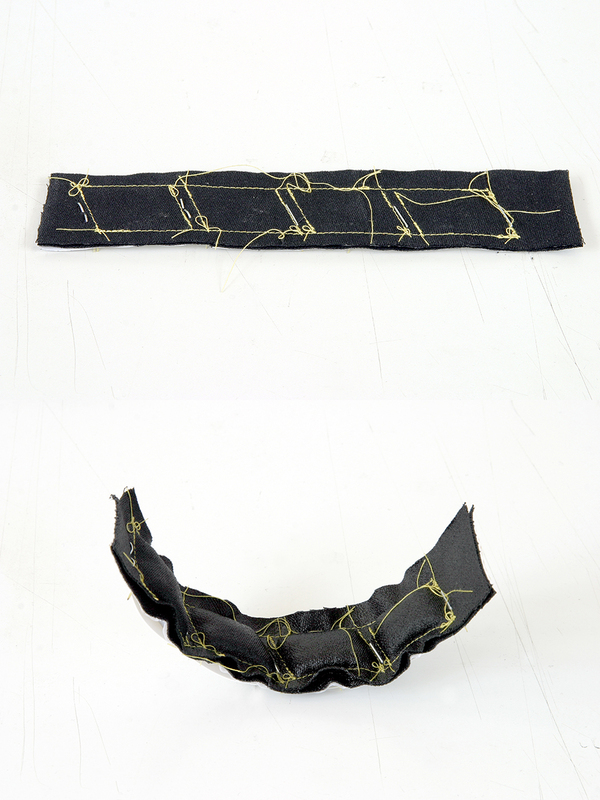 The combination of pillow structures and sheet material lead to the final concept. 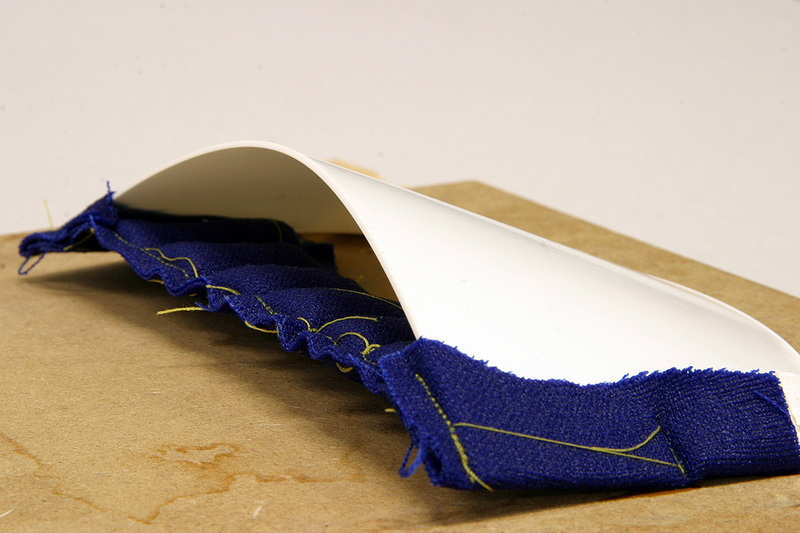 Attached to a relatively rigid sheet material the pillow structure is able to function as an opening mechanism. Air can flow through these openings while the hydrogel has a cooling effect when the water evaporates. When the gel dries again the openings shut due to the tension of the sheet material. This makes the system always reversible. In the future this system could be applied to buildings which are in need of air cooling. It could also be able to prevent cities from overheating during heat waves.